The online gaming world can be a very confusing world for any newcomer, but there are ways to do it right. The trouble with online gaming, is that the games are hard and the people you are playing with tend to be very critical when it seems like someone does not entirely know what they are doing. But, besides those worries, there are other things that online gamers need to consider when entering the realm of the online game. One of the most problematic things about online gaming, as with most of the rest of the internet world, is that a person can take on any identity that they wish, or could be completely anonymous, which opens a whole big can of worms when it comes to identity theft, internet safety and protection. It is very important for online gamers to be aware of the security threats that can come with their online game play, and therefore there are many precautions that an online gamer could, and should, take when playing their games. 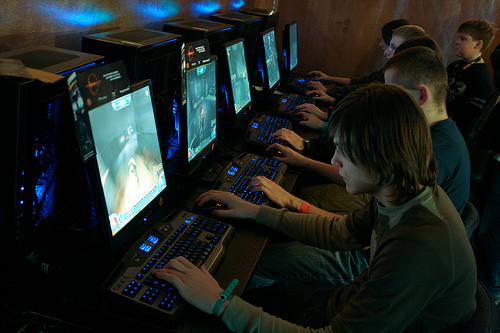 Online games are also very prone to computer hackers and others with malicious intentions. Sure, online games seem like they are all fun and games, but that may not always be the case. This goes for any aspect of the internet, but is especially relevant to online gamers. It is easy to trust someone that you have played hours and hours of games with online, but you have to remember that it is not real life, and everyone is not as nice and trustworthy as they seem at first. Many people who get scammed via online games get scammed because they are too trustworthy with strangers that they meet through online games. Once you do find people that you trust in your online games, then it is important to build a bond and to look after each other. This should not be a problem, as most online games are team oriented in some way or another, so all you have to do is carry that into the realm of staying safe outside of the video game, and online. With online games, the player has all the control, so it is key that you utilize that control whenever you do not feel comfortable about something. There are many ways to block or kick someone off a game, and there is very little chance of repercussions from the person that you did it to.